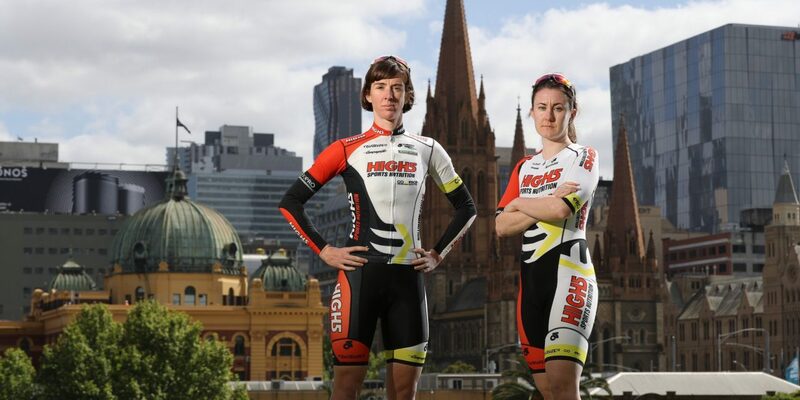 The Melbourne to Warrnambool has long been an iconic race on the Australian cycling calendar, and with the second official women’s race set to be held on Saturday 15 October, the High5 Dream Team are ready to make their mark and write their names in the history books. 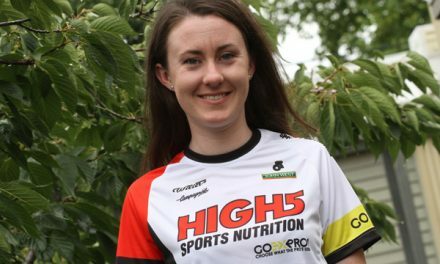 With a strong lineup and strength in numbers, the High5 Dream Team will have plenty of cards to play throughout the 277-kilometre road race. Kendelle Hodges heads into Saturday excited by the challenges this iconic race will present. ‘I’m really excited, it’s something I’ve never done before and I’m up for the challenge. There are so many unknowns on the day and I think it will be exciting to see how the race unfolds. ‘I think it’s a race that you can’t go into with a firm plan because there are so many things that can happen due to the length of the race, mechanicals, crashes, cross winds, there will be a lot going on so I think it will be an evolving plan . ‘It’s really great knowing I have two High5 Dream Team teammates in the race and we’re all there to support each other to get to the finish. I’m looking forward to getting into Warrnambool on Saturday afternoon!’ she said. Tessa Fabry is relishing the opportunity to share the moment with her teammates and is looking forward to a big day in the saddle. ‘I’m a bit nervous about the length of the race, I’ve never been on the bike that long without stopping! ‘It’s a different type of race to think about, my aim will be to stay with the bunch for as long as possible because that means I won’t have to do as much work! ‘We have three strong riders racing so it’s great that we will be able to help each other throughout the race. Being in a big bunch amongst the men’s peloton means we won’t have the same role we normally do, chasing down attacks, so we can look after each other which will hopefully help us to get a good result at the end’ added Fabry. 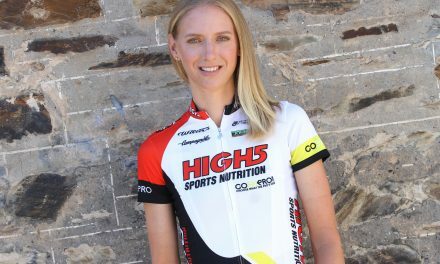 After dominating the second half of the National Road Series season with four stage wins and the General Classification win at Amy’s Otway Tour, Rebecca Wiasak took a well-earned break from racing, and is using the race as a key part of her preparations for the upcoming summer of cycling. ‘I was a very late entry for the Melbourne to Warrnambool. I’m predominantly a track rider so this will be a big test of my endurance and strength. My longest road ride was 155km on an AIS Camp in 2013. 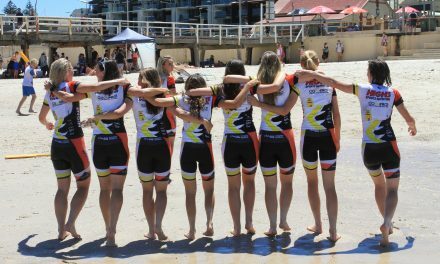 ‘The Melbourne to Warrnambool is such a historic race and while women have raced in the open category before this is only the second year that there has been a dedicated women’s category. I felt an obligation to support the race after so much work has been done to see women included. I had a short break after the final National Road Series round and am in a base training phase, so this was a good chance to get in a lot of base k’s! Plus it was a good excuse to come home and spend some time with my family. I guess this is almost a home race for me! I’ll just have to avoid the temptation to ride home when the race skirts around Geelong. ‘I’m hoping to finish the event. The distance will be a big challenge but the weather also plays a major role. My boyfriend trained for an entire year for the Warny and two flat tyres ended his chances, so barring any misfortune, I’d like to feel the accomplishment of riding into Warrnambool and maybe even contest the finish. 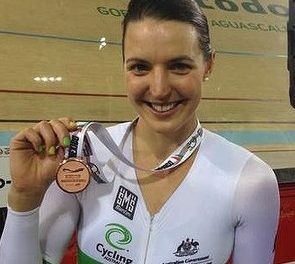 ‘I’m told that the 2015 winner Lauretta Hanson went into the event telling herself it was simply eight crits in a row, so for me, it will just be 92 pursuits back-to-back,’ concluded Wiasak.